The Syndicate is represented by 3 runners in three different centers over the course of the weekend, including SEATTLE FORCE in the Gr1 Cape Derby, at Kenilworth on Saturday 26th January 2019. 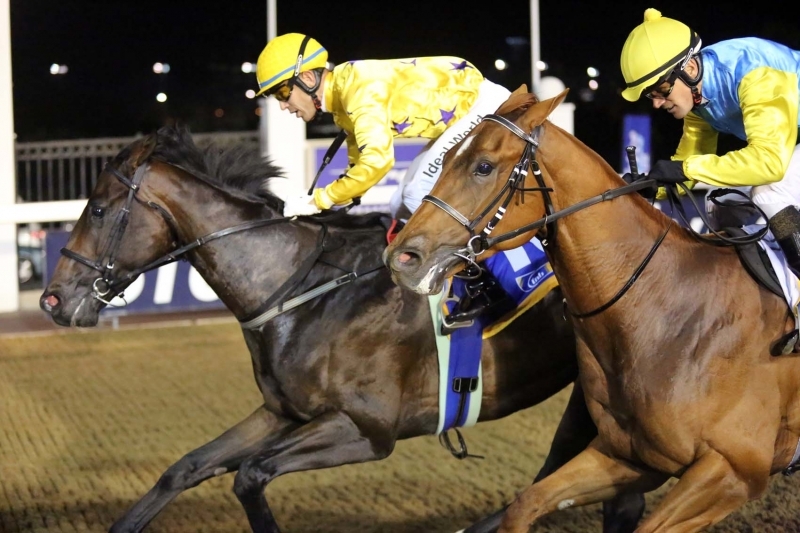 HONEST PRINCE is looking to close off the meeting at Greyville on Friday night and PURPLE PERSUASION has her first official start at Scottsville on Sunday 27th January 2019. See more about their chances here. His last run was a run without any luck whatsoever and the young apprentice who retains the ride on Friday will also be the first to admit that it wasn’t his greatest ride to date. Unfortunately, he wasn’t able to place him on the rail as we had hoped and he ended up being caught wide around the bend. As such, we are inclined to expect much better from him come race time on Friday night. This time around he is drawn in pole, so he should get onto the rail without much effort. Two notable runners in the race – Roy’s Taxi and Putchini, both finished in front of Honest Prince last time out and they have been drawn much wider this time around. He is one of those horses who needs to be left alone for as long as possible and to get him going as soon as they turn for home, as he does take time to lift his feet. That said, we believe he is better than his record suggests and we will be hoping for a big run in this handicap. We give him a good place chance and an outside win chance. Winning Form Comment: Should have finished closer last time, drawn in pole, watch. His run in the Gr3 Politician stakes 3 weeks ago was below expectations and he should’ve finished some lengths closer to the eventual winner. It was also his first run after being gelded and he has turned into different horse since that procedure was carried out. Trainer Glen Kotzen is pleased with his progress and he will relish this trip of 10 furlongs. Looking at the opposition, it is one of the hardest races to analyse on the card and probably the most open Cape Derby in recent times. Seattle Force does have the luxury of being drawn well (5) and the plan will be to have him placed in a handy position with some cover, as there is a strong head wind predicted on race day. This is where he is most comfortable, being allowed to use his big action. Looking at the dangers, just about every horse in the race looks progressive and not without a chance. But we will hoping for a bold showing from this son of Mambo In Seattle and he must be include in Quartets and wider exotic perms. Winning Form Comment: Excusable last run but faces another stiff test on unfavourable weight terms, tries this trip though. Purchased at the 2018 KZN Yearling Sale, she has always been a filly that we have above average expectations for. Her barrier trial as expected, was also very encouraging and she has since strengthened up nicely. She is however the only filly in the race who hasn’t had the luxury of having an official run under her belt, but that does not sway our expectations in any way and she should nevertheless be a big runner. We give her a good each way chance.